Good selection of premium well made clothes and accessories. ..
"Our goal is to create good looking, practical and comfortable clothing." Created by two sisters who are also mothers, Geggamoja revolves around the fact that young children are naturally honest, blunt at times and certainly bright, so this should be reflected in their clothes. Our Geggamoja collection is certified as organic, too. 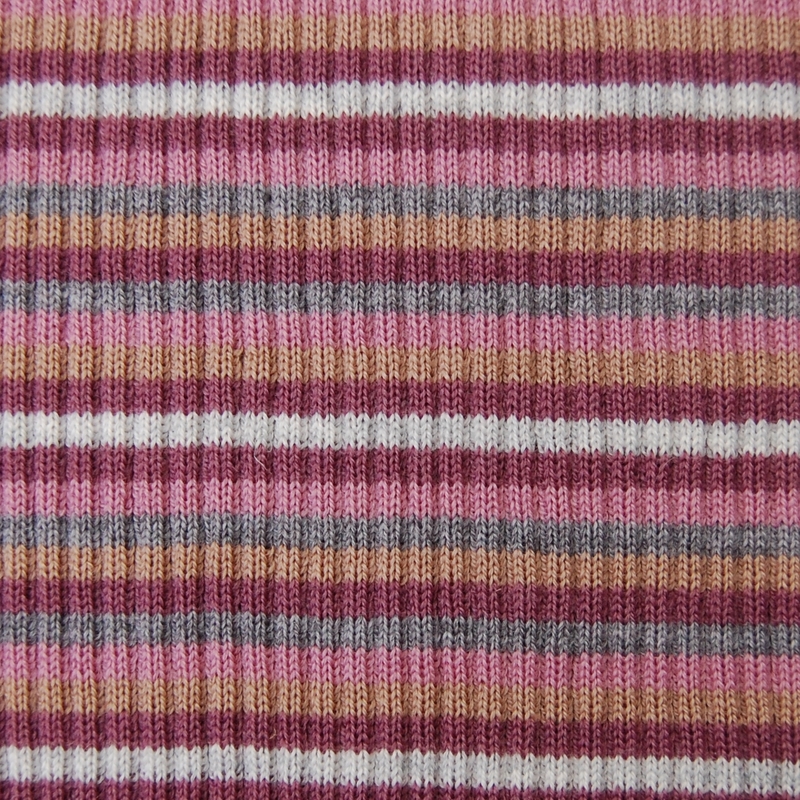 Most of Geggamoja's organic children's clothes are unisex, with solid colours matched with classic stripes in new fresh colour combinations and Scandinavian designer appeal. This creates organic clothing which suits both boys and girls and allows children to play and explore in natural comfort while looking naturally stylish. They are clothes made for children to be children in - and that matters to us at Cambridge Baby. 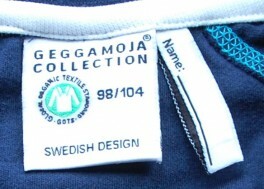 Geggamoja have chosen to use organic cotton certified to Global Organic Textile Standards (GOTS) because as well as producing better cotton and therefore better quality clothes, GOTS sets environmental and social standards throughout the manufacturing process which include cultivation, harvesting, production processes, manufacture, packaging and labelling. Here is how Geggamoja describe their business ethos and approach: "We aim for a broad and long-term environmental approach to our entire business, which is a constant factor in all decision making at all levels. Our goal is to have a 100% sustainable company." Kudos to them! Let's support them to achieve that goal. What stands out for us about Geggamoja? Good looking, comfortable, long-lasting clothes that get passed on from child to child are definitely a step in a sustainable direction. And if they are organically and ethically produced from farm to shop, well that's a perfect fit with our ethics! We also love how soft Geggamoja's cotton is. 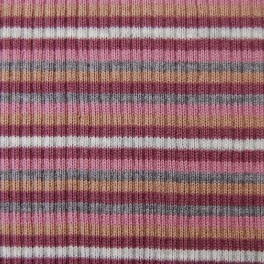 Thick without being bulky, it is high quality, soft cotton, and flexible on the children's skin. 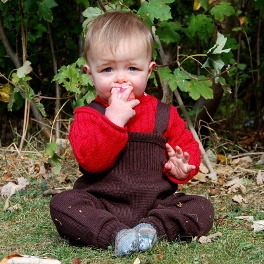 What's more, Geggamoja's clothing is designed for children's comfort and comfortable they truly are. They've been staples in the wardrobes of Cambridge Baby's own children, washed heaps of times and passed on in true sustainable fashion - and they still look and feel GOOD. 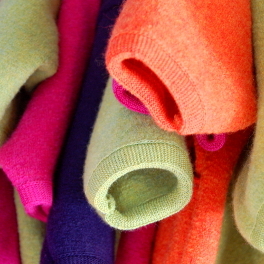 Merino Kids was founded by Amie Nilsson in New Zealand in 2003. It is now an international, award winning, textile company specialising in using 100% natural fibres, for the design of newborn, baby, infant and toddler sleepwear. Merino Kids make garments using 100% natural superfine, bleach-free merino, 100% natural organic cotton and nickel-free zips and domes/poppers. We especially love their Merino wool, because though it is warm and breathable - as always with wool - its fine knit give it the feel of soft cotton, thus giving children the best material to live and sleep in! You'll be glad to know that Merino Kids' superfine merino top is spun, woven and finished in India in a sweatshop-free environment. When looking at Merino Kids' clothes, it's easy to see that they are created by a mother with care for children and practicality in mind. Design features such as fold-over scratch mitts, fold-over feet, cross-over necklines and elastic backs are brilliant for easy dressing and changing. Environmentally friendly packaging is also something Merino Kids care about, so they use 100% cotton organdy fabric and recycled tissue paper. These things make Merino Kids a good fit for us, and we're happy to be stocking them. We hope you enjoy their wraps, sleeping bags and clothing too. The News is in, and it is official... the best seller this Autumn/Winter season has been the Merino Wool Trousers or Leggings by Disana. Disana is one of our all-round top brands - so what are they doing right, and what makes them so special? Disana began 25 years ago - in a garage. When they started their company, Dieter and Imma Sautter combined their initials D and I with the word Sana, which is the name of the ancient goddess of health and healing – very apt for Disana's natural ethos. Disana now supply shops around the world with organic wool baby and children's clothes and is still growing steadily, carrying with them this vision of health and healing through clothing. 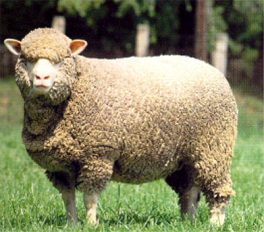 Disana are committed to high quality, natural raw materials and specialise in organic Merino wool. They are a founding member of the International Association of Natural Textiles (IVN) and are proud of its guidelines for natural textile production; these are recognised as the most comprehensive, strictest guidelines in the world. In fact, Disana was one of the very first companies to have most of its clothing certified by IVN as BEST, indicating organic textiles of the highest ecological quality. 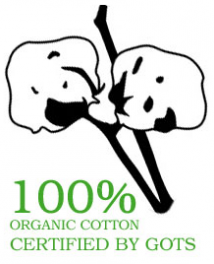 Its range is also GOTS certified as organic too at a time when organic wool is still hard to come by. Disana's commitment to high standards includes fairness throughout the supply chain and their excellent craftsmanship shows throughout their organic clothing range. The fabrics used in Disana’s wool clothing are produced either at their premises or within a 100km radius in long-term partner factories, ensuring good working conditions and making for good relationships and excellent quality control. 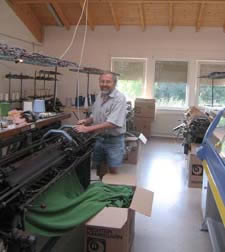 This is Herr Heinz Munz in the workshop, who is very proud to be in our blog 🙂 And as you can probably guess, everything that goes into each piece of clothing is is subject to strict regulations, from the sewing thread and buttons to even the lubricating oil in the knitting machines - everything must be environmentally friendly. Each Disana piece is designed to keep a little one comfortable and healthy, which makes Disana stand out from the crowd when it comes to design. For them it's all about the baby, the baby's comfort, health, freedom to wriggle, crawl or walk. Disana's clothes allow the skin to breathe and the body to relax, and parents to know that their little one is being looked after by real living wool.